A while ago now, I was having a casual chat with a fellow YWSer when the subject of astrology arose. Surprisingly, this YWSer seemed eager to learn more about the subject, and so while explaining some of the details I realised just how much goes into the idea of star signs (the zodiac) – and how little most people know about it. 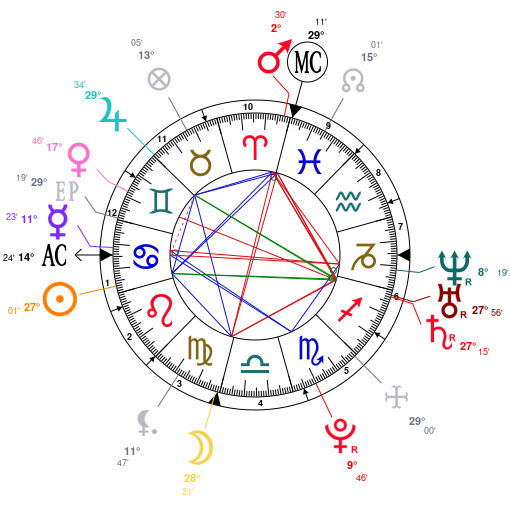 Both my parents were into astrology for most of their life, and so a lot of that astrology knowledge rubbed off on me. I'm not a complete believer or expert of astrology, however I do find it cool to use as a guide (or at the very least a point in the right direction), sort of like the Myers–Briggs (MBTI) classification and Keirsey temperament sorter. (My MBTI is INFJ, by the way). If you want to know your MBTI, you can take the 16 Personalities test here. You are not just your star/zodiac sign. Often people say, "My sign is Aries, but I'm not at all hotheaded or energetic, so all that astrology stuff is nonsense." This is not me dissing that opinion, but rather presenting more information. Your star/zodiac sign is where the Sun (yes, the real Sun in the sky) was positioned at the exact moment and location of your birth. Your Sun sign makes up one aspect of you, however there is every other planet and positioning to consider. This means that you would have other planets for other aspects of yourself that would contradict or compliment that Sun sign's influence on your personality. From an astrological perspective, you are not purely your star sign, but you are your birth chart. If you ever encounter the mystical breed of astrology-savvy humans, they might ask what your main three signs are. These signs are your Sun sign, your Moon sign, and your Rising/Ascendent sign. This triad is meant to give someone an "overview" of the type of person you could be. I have an Aquarius Sun, Taurus Moon, and Virgo Rising. I'll go into these in greater detail later on. There are 12 signs, 12 Houses, and 10-ish astrological planets. These (signs, Houses, planets) are the three main elements of astrology. The astrology column in magazines is almost always garbage. I think that much is obvious. I prefer to use the term "star sign" instead of "zodiac" as the common name for the Sun sign, since I find the word zodiac can be mistaken for the Chinese Zodiac Animals – which is something else entirely. I'll be using "star sign" solely from now on in this regard. Comments and questions are allowed in this thread. AAAAAAAAAAAAAAAAAAA!!!!!!!!!!!!!!!!!! YASSSSSSSSSSSSS I've been waiting for this for so long but no one seems to like this sort of thing. I am a Cancer, that's all I know. @Coffeeism ...You know you can publically refer to me and my child-like hyped curiosity by name, right? XD But hey, didn't expect ya to make a topic out of this wonderful talk, m'dear! That's quite the pleasant surprise - and a fun read to go back to, whenever I'm done! "Is there a limit to how much living I can live with my life? How will I know if I've gone too far? And why did I spend my life savings on sunglasses for a whale? I shall find the answer... to these questions." Hey, this is great idea, I'd love to learn more! I know bits and bobs from my Dad's interest in this kind of esoteric stuff, but he's told me more about the history of astrology, what the Bablyonians originally used it for and how it got picked up and altered by the Greeks and other cultures and how it got added to and changed until it became what it is today, which is really interesting, but hard to remember when I don't know what the things he's talking about actually are... I'm interested in learning more about the houses and what they mean, because there are 12 houses and 12 signs, but they don't correspond, do they? If you have a dream, you have a duty to make it come true.